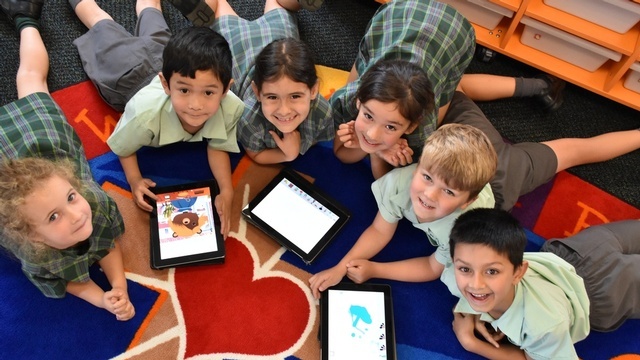 At St Patrick’s, technology is integrated across the curriculum, where students use it to enhance their learning, as well as increasing their technology literacy. Technology literacy is an essential skill in modern society and St Patrick’s students have many opportunities to develop it. In all classrooms, students use appropriate technology tools such as desktops, laptops and iPads. In 2015, the school introduced a BYODD program for children in Years 4-6. The iPad is a device that empowers students and enables them to attempt and complete complex tasks within the classroom. Professional Learning opportunities are regularly provided for staff, so that that they are up to date with their skills and knowledge.